Members of the DJ list have made a quilt to commemorate the tragic events of September 11, 2001. It will be presented as a personal gift to President George W. Bush and his wife as a show of support in these difficult times. 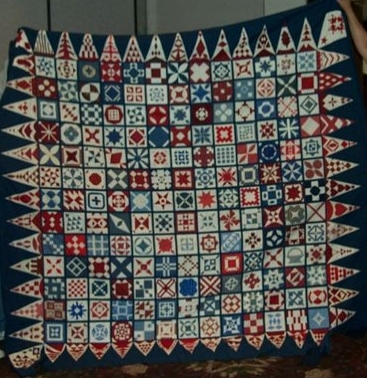 This reproduction of a Civil War quilt, which was made during another difficult time in US history, is red, white, and blue in color. The top was showed at the MQ 2002 quilt show in St. Cloud, MN.